Leyland Trucks is the UK's leading medium & heavy duty truck manufacturer and is based in the town of Leyland, Lancashire. It emerged from the bankruptcy of DAF NV as the result of a management buy-out in 1993, and was acquired by PACCAR in 1998, of which it is now a subsidiary. Since Leyland Trucks was acquired by PACCAR it has become the group's established centre for the design, development and manufacture of light and medium duty trucks. Leyland Trucks operates out of one of Europe's most advanced truck manufacturing facilities - the Leyland Assembly Plant, and currently employs 1000 people. 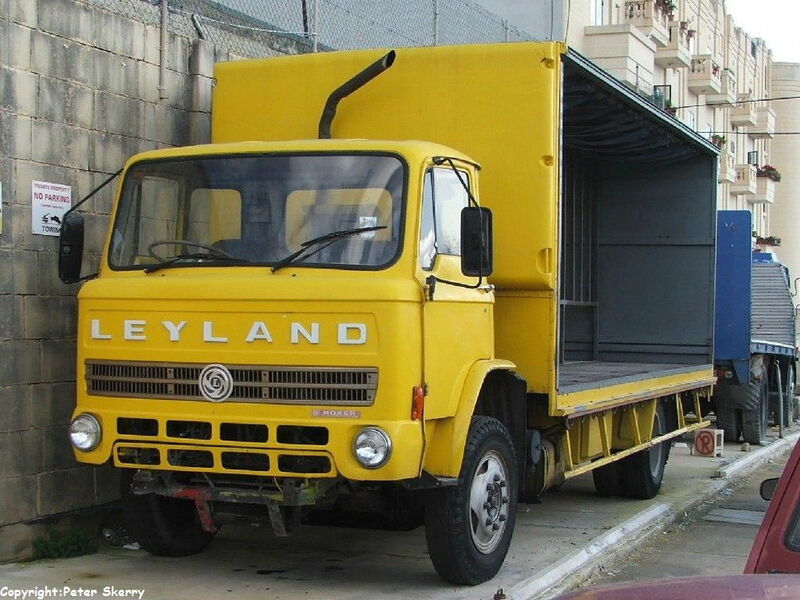 In 2008 Leyland produced more than 24,500 trucks of which 50% were exported. Its history lies in origins as Leyland Motors which subsequently became part of the nationalised British Leyland conglomerate. 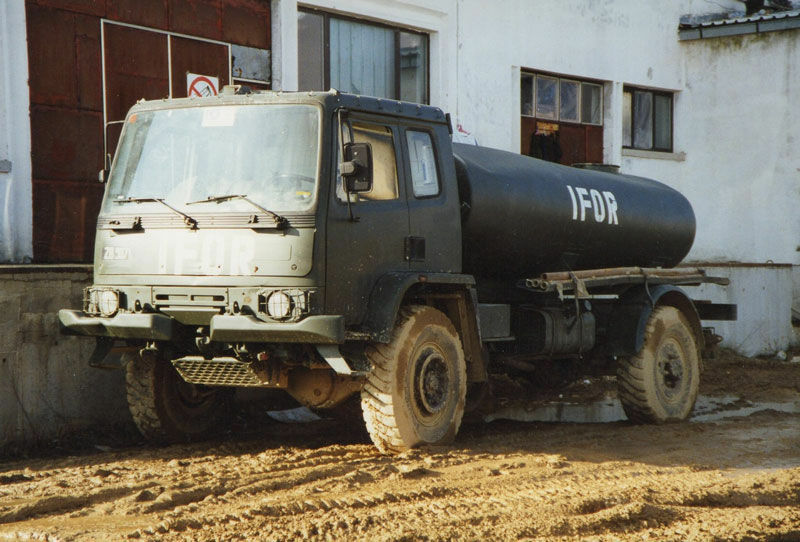 Upon the breakup of BL's successor Rover Group, the truck making division merged with DAF's truck business as DAF NV. 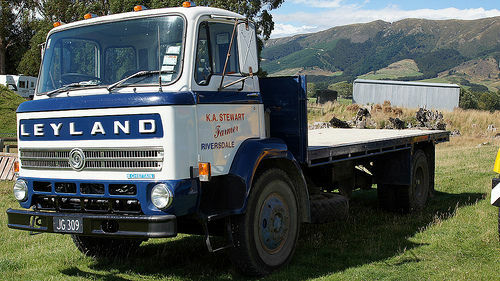 When the new company became insolvent a few years later, Leyland Trucks emerged as an independent company. 2009 In April Leyland Trucks was awarded the prestigious Queen's Award for Enterprise in International Trade. The DAF LF is a range of light/medium duty trucks produced by the Dutch manufacturer DAF and assembled by Leyland Trucks. It is a redevelopment from the Leyland Roadrunner of 1984. The LF45 and LF55 are powered by Cummins B4.5 and B6.7 engines respectively, and the LF shares its cab with the Renault Midlum and the Volvo FL. It is also the base for medium duty trucks for Kenworth and Peterbilt. The LF won the International Truck of the Year 2002 award. 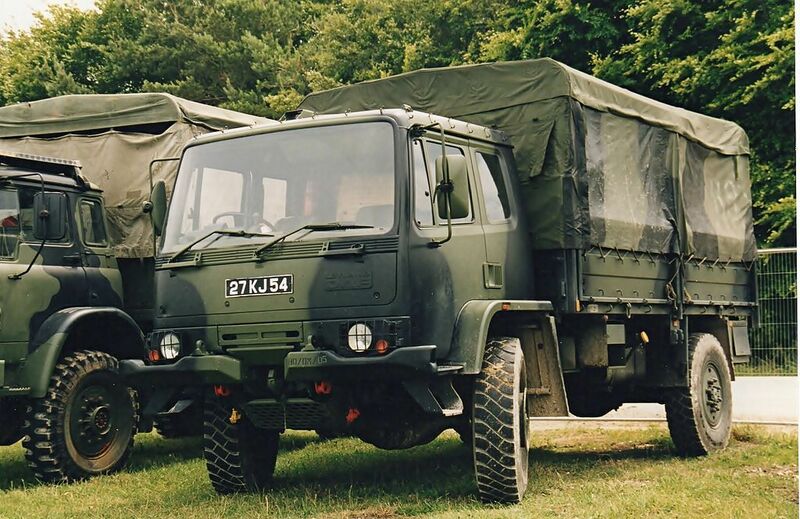 Originally rated at 4,000 kg payload, the Leyland 4-tonne truck was developed by Leyland Trucks under the project number T 244 to participate in the British Army's four-tonne truck replacement contest along with Volvo (GB) Limited and Bedford. In December 1987, eight prototypes were handed over to the MoD to take part in a series of technical trials. The result of the contest was that, in June 1989, Leyland Trucks was awarded a contract worth £155 million for 5,350 vehicles over a five-year period. That contract was completed in April 1995 after 4,200 vehicles had been delivered. Follow-on orders to the UK MoD and others followed, bringing production totals to approximately 4,500 vehicles. 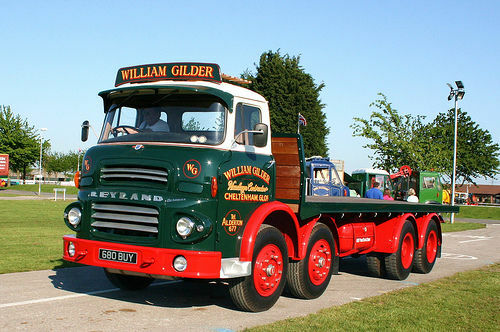 Production was based at the Leyland Trucks Assembly Plant in Lancashire using largely British-sourced components. The first six production vehicles were handed over for acceptance in July 1990, with deliveries to the MoD commencing in August 1990. These trucks are normally referred to as Leyland but occasionally DAF or Leyland DAF, with most vehicles being badged Leyland DAF. 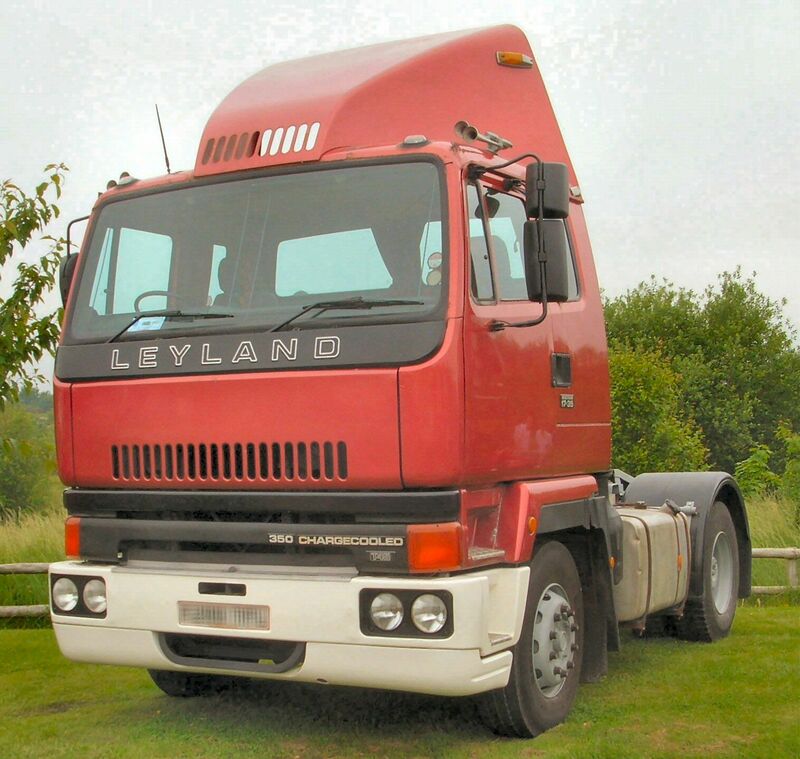 Truck maker Leyland was sold by the UK government to DAF Trucks of Holland in 1987, UK product subsequently being marketed as Leyland DAF. In 1993 DAF collapsed, the subsequent rescue package not including the UK part of the operation, which following a management buy-out, returned to UK ownership. 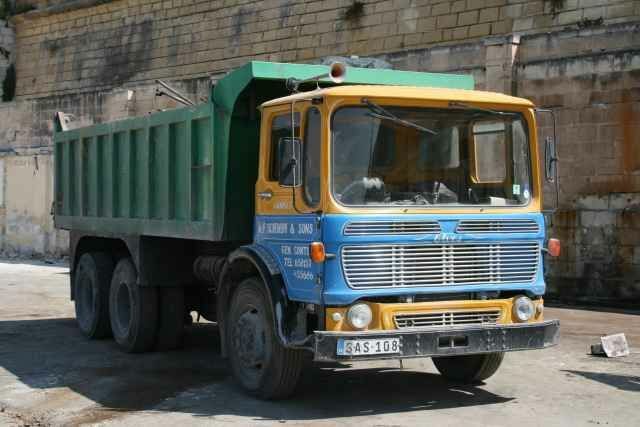 The then Leyland Trucks was sold to Paccar of the US in 1998, two years after Paccar had acquired DAF. 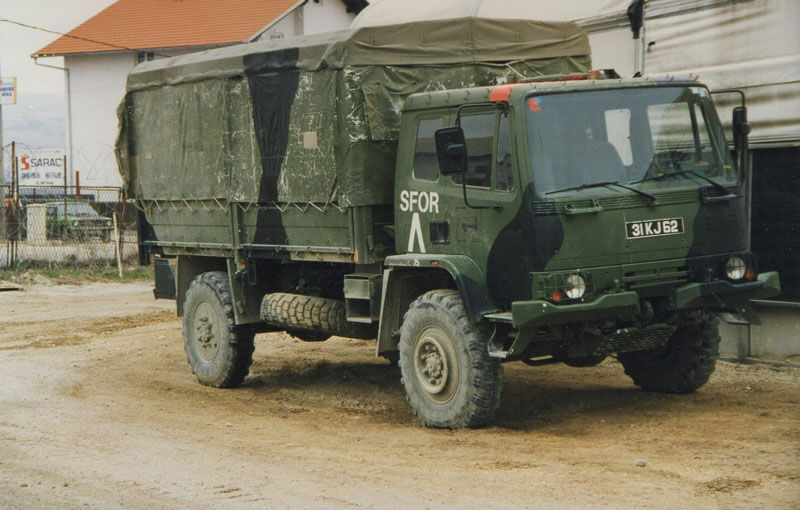 In 1995 a payload option of 5-tonnes was introduced; a small number of British Army vehicles subsequently being uprated. 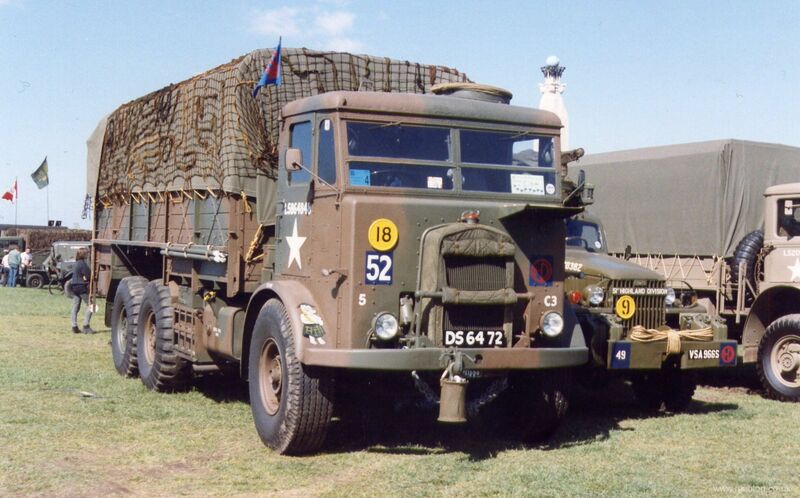 The Leyland 4-tonne truck was one of a number of types to be replaced by the UK Defence Procurement Agency's Support Vehicle programme, for which a contract valued at £1.1 billion (now quoted as GBP1.3 billion) was awarded to MAN ERF UK Ltd in March 2005. 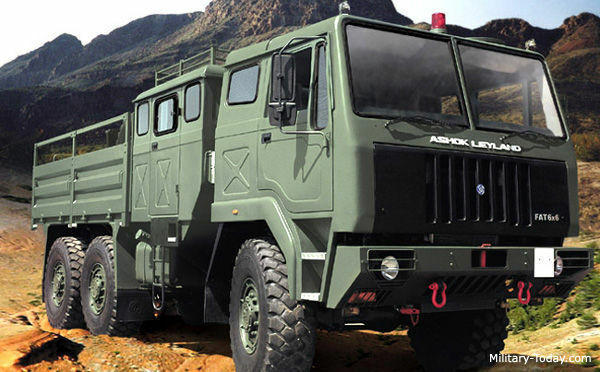 The trucks involved are MAN LX and FX ranges of tactical trucks supplied by Rheinmetall MAN Military Vehicles (RMMV). 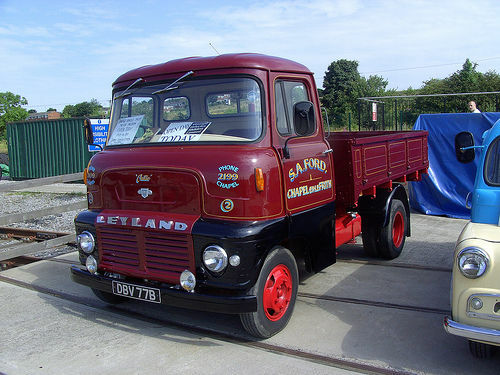 A proposed Invitation To Tender (ITT) for the refurbishment of the Leyland 4-/5- tonne truck fleet was shelved in favour of a Support Vehicle contract option. 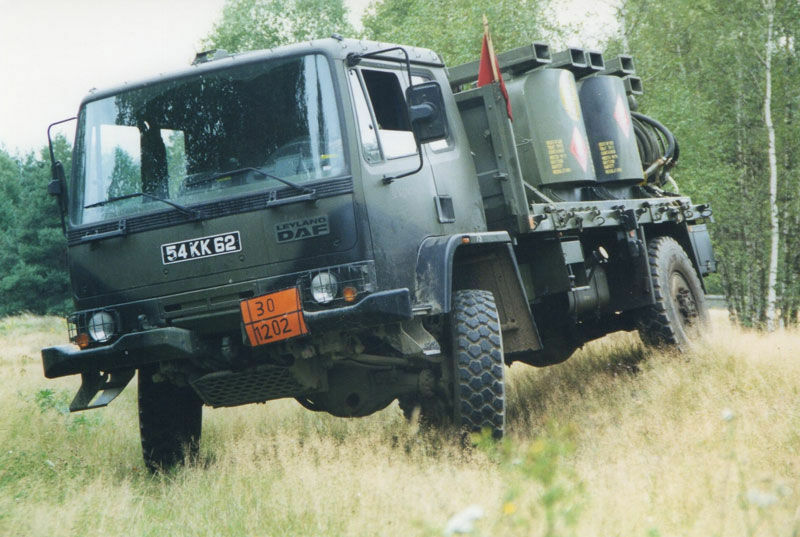 The Leyland DAF 4-tonne truck was scheduled for an official British Army Out of Service Date of the end of 2014, however around 650 trucks are being retained to replace the RB-44 in mortar and 105 mm gun tractor role. 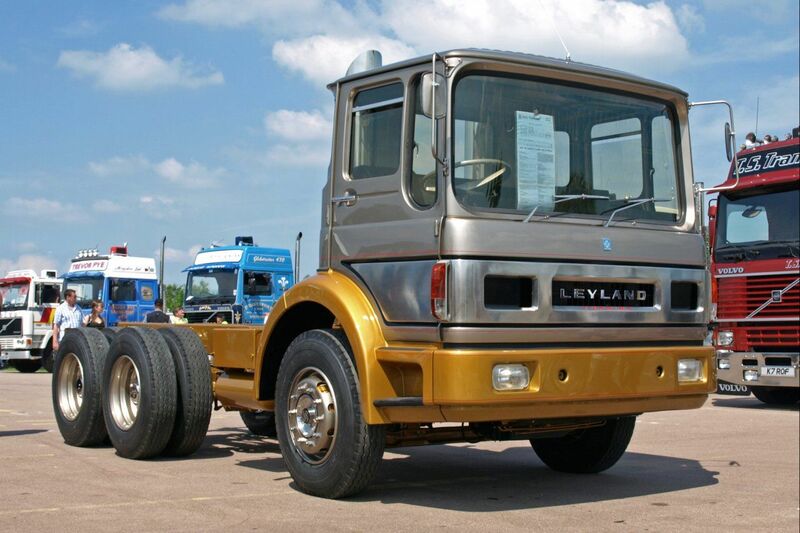 The Leyland 4-tonne truck is conventional in layout and design and some key components used are shared with the commercial 45 Series light truck. The T 244 uses the sleeper cab version of the C44 forward control cab, which has room for the driver, two passengers, and stowage for their full kit. As an alternative, the space provided may be used for driver training (the driver plus four personnel) or radio communications equipment. The cab roof is reinforced to take the weight of two personnel and has a roof hatch and provision for a machine gun installation over an observer's platform inside the cab. For maintenance the cab can be hydraulically tilted forward 50°. The vehicle is powered by a Leyland 313 turbocharged diesel engine coupled to a transmission using a five-speed, all-synchromesh gearbox. There is permanent (4 × 4) drive. The front axle has a rating of 5,000 kg, with an offset bowl to reduce overall cab height. The rear axle has a rating of 7,500 kg. Fitments include: front and rear end rotating NATO tow hooks, lugs for suspended or supported recovery, helicopter lift points, and an infra-red reflective paint finish. The vehicle can be transported by C-130 Hercules transport aircraft, or underslung by CH-47 Chinook helicopter. The standard cargo body is produced and fitted by Edbro and has a fixed flat platform and bulkhead with provision for interchangeable drop sides, tailboard, superstructure, and tarpaulin. The flat platform can be used to carry various forms of military equipment including shelters/containers, fuel pods, NATO pallets, Class 30 trackway, and medium girder bridge (MGB) sections. 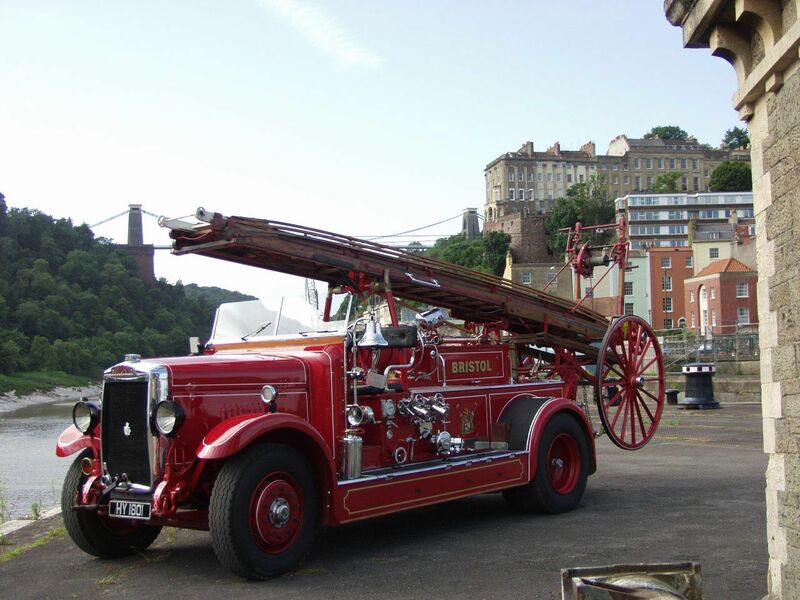 Options included a winch, hydraulic crane, tipping body, tankers and specialist-vehicles for refuelling operations. The optional crane has a capacity of 6.5 t/m while the winch (produced by Reynolds Boughton) has a capacity of 5,500 kg front and rear and is provided with 75 m of cable. It was disclosed during 2006 that Permali had supplied 16 add-on armour kits for Leyland 4-tonne trucks deployed on operations in Afghanistan and Iraq. Today, there have been 12 visitors (97 hits) on this page!